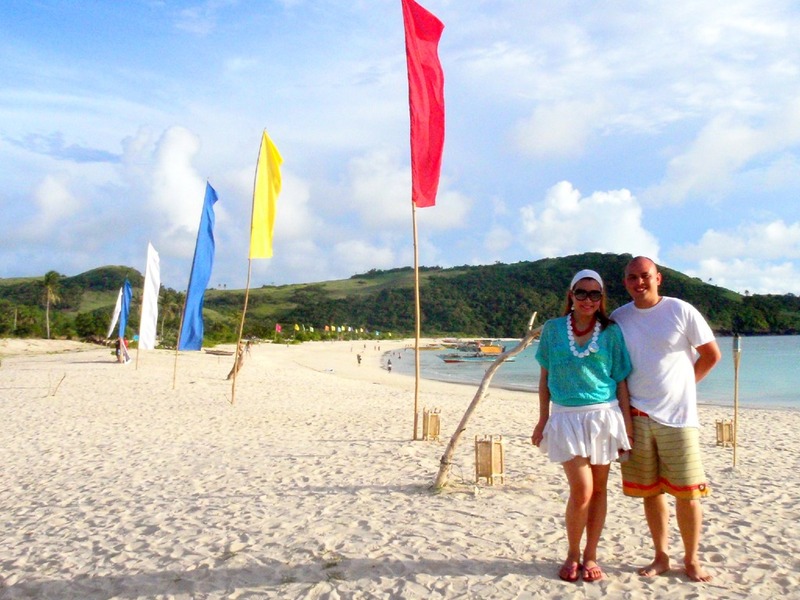 My Birthday Trip (part 2): Calaguas Island. Note: I suggest joining Calaguas Island Tours if you want a hassle-free Calaguas trip. They'll take care of your transportation (we had to hire our own jeep and boat because we left around lunchtime), food, water and tents. I believe they will also provide you with free surfing lessons in Bagasbas the next day (we didn't avail of this because that was the first leg of our trip). Information can be found below. We were already in Daet so we only had to hire a jeepney to take us to the port in Vinzons. There are several boats in Vinzons with prices ranging from P3,000 to P5,000 ($80-$120) for a round trip. We opted to pay P5,000 for the biggest boat because we didn't want to take any chances. A bit of a warning though: I'm not sure if this is true for all boats but our boat didn't have seats. We all had to sit on the floor or on the bamboos located at the sides of the boat. This is the "port", the starting point of our Calaguas Island adventure. We all had street food before leaving. Since we left after lunch, it was low tide and trouble going through the mangroves. Our boatmen had no choice but to manually push the boat in shallow parts. Poor guys. Because of this, it took us quite a while before we reached the ocean. And after 2 and a half hours, we were finally in Calaguas Island! There are no commercial establishments or resorts on the island. Mahabang Buhangin is literally an uninhabited, remote paradise. If you want to spend the night there, the only option you have is to pitch a tent and camp. And that's what we did. There is a makeshift bathroom by the trees but it's not a functional toilet bowl so I chose not to drink any water (just a few sips here and there) during this leg of the trip. There are also two water pumps at the back for baths. You just have to pay a P10 (less than 50cents) fee. Our tour group took care of food and drinks. When we got there, it was already after lunch and everyone was done eating but they were kind enough to give us pasta that they were cooking for the kids. Like I said, I wasn't feeling too good that day so I slept the whole afternoon. Come dinner time, I woke up only to find that there wasn't any food left. But Chef Janjie was quick to accommodate me and T. He immediately got us a few pieces of chicken that was left in the kitchen and newly cooked rice. Like I said, there's nothing on the island so you'll have to make your own fun. If I weren't feeling sick, I would've taken a lot of photos around the island. And of course, there's always swimming and sunbathing. That's why the nice thing about joining a tour group are the activities. The one we joined gave free bartending lessons after dinner. They also had a fire poi show. Too bad I missed this. I actually tried to watch but my body won't cooperate so I went back to our tent and called it a night. Since I wasn't able to join any of the activities, the only highlight of my Calaguas trip were the sunset photos that Mariano "Nano" Balane took of us. Aside from the fact that I wasn't feeling well, a storm was looming in the horizon so we had to leave early the next day for our next destination. Read about it in my next entry. Hello... fab pics! The ones of you and also the bartending pics. Thanks for your comment on my blog, sure I'll follow your blog as you have asked... have you started following mine? The street food in the pic looks so good to me even though I have no idea what foods exactly are pictured lol And the skis in those last shots is just amazing! Happy Birthday to you,Joei!Wishing you the best! 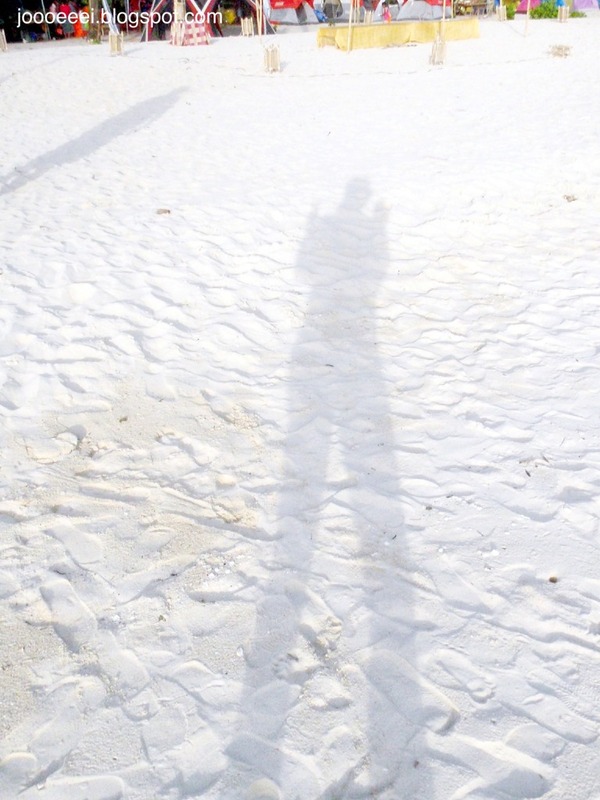 wow..your blog has a pretty nice template..and love this post..
Hi girl, what amazing trip! Pretty photos, I bet you had a lot of fun there. And Congrats for your Bday! how amazing and exciting it must be on that trip of yours.. hopw to see more updates and thanxs for the cute comment. I love your blog! I am now following you! Would you mind checking out my blog? I'm just starting up! Wow. Looks like so much fun. must have been a fabulous birthday. I still can't believe our first party had over 300 links. I have a special give away planned for linkers this week. I would love it if you would grab the bacon time party button for your collection of link parties since it will run every Friday evening through Sunday night. Thanks again, hope to see you soon. From your photos, I can really say that Philippines is a real beauty. calaguas, is the best beach ive been to! and yes, the boats dont have seats. most of these kasi are fishing boats. nice pics you have here... would love to visit the beach someday. Oh wow! What an awesome way to spend a birthday. You look fab gurl! i hope i could visit calaguas soon! they say it's the boracay of the north. lovely photos! That's where I dropped my Omnia. Haha Galing may poi and bartending lessons pa. We got a tour package from a different operator, so chillax lang when we got there. But it's all good, ganda ng place eh! Max's Chicken All You Can. My Birthday Trip (part 1): Bagasbas Beach.